Considering its modest size, Malta has always bulked surprisingly large in European history. Settled by Greeks and Phoenicians in antiquity, it flourished as a trading entrepot. St Paul is said to have been shipwrecked here in around AD60, while by the sixteenth century, it had become a fiefdom of the Knights of St John of Jerusalem, a bulwark against hostile Ottoman intentions towards Rome. Then there was that business with the elusive falcon, probably still being chased around Europe by the ghosts of Sidney Greenstreet and Peter Lorre. Between 1940 and 1942, its people mounted one of the epic defences of the second world war, improbably defying the combined might of Axis aerial assault. It sustained more concentrated bombardment than any other theatre of the war, as well as acute hunger under the siege conditions, but somehow held out, for which outstanding tenacity its people were collectively awarded the George Cross in 1942. What this little huddle of Mediterranean islands haven’t so far been noted for is wine. Generations of tourists, the British foremost among them, more or less happily knocked back the local plonk while there but, even more than rustic wines from elsewhere in southern Europe, it was only really enjoyable in the local context. Drink it in situ with one of the sinew-stiffening, meaty national dishes – rabbit stew cooked like coq au vin, or bragoli, the stuffed beef rolls known to Mrs Beeton as beef olives – and it was palatable enough. Bring some home and… well, you had to be there, really. Malta joined the European Union in 2004 and, since 2007, it now has its own fledgling wine classification, structured according to the continental standard. It also has the kind of investment in its viticulture from overseas that had been hard to come by locally. Standing on the flat roof of the Meridiana winery at Ta’ Qali in central Malta, it’s not hard to catch the mood of expansion. Established in 1985 with input from Antinori (which remains a sleeping partner), the building stands proud among its own sea of vines – a modest enough 19 hectares. The land was once a military airfield, and a quantity of wartime ordnance had to be cleared before the first plantings. 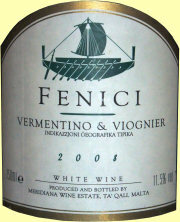 Malta has an array of indigenous grapes, not many of them held in high esteem by those creating its modern industry. French cuttings of Chardonnay, Merlot, Syrah and Cabernet Sauvignon for now represent the best chance of making an international splash. In the middle of sun-baked November, it’s not hard to believe estate manager Anton Mangion when he says that heat stress can be a problem during the growing season. The red grapes can turn out overly tannic, the whites deficient in acidity, without careful vineyard management. What mitigates the summer swelter is the maritime nature of the climate, with no location ever being that far from the coast, and vine rows planted in line with the prevailing breezes. The normal European imperative to plant south-facing isn’t really an issue on Malta. There are no rivers and no mountains to provide water runoff, so ‘rescue irrigation’ is permitted. Loamy calcareous soils with a little clay make for a classic European mix. Harvesting is incredibly early – often the first week of August for white varieties, with the first of the reds, Merlot, following just a week later. Everything is in by mid-September. The results of painstaking site selection and hands-on winemaking are there to taste in Meridiana’s portfolio.The blends, such as herb-tinged Fenici Vermentino-Viognier and ripe, tobacco-edged Syrah-Merlot, are subtle, well-constructed wines, as is the flagship Melqart, a Bordeaux mix of 60% Cabernet to 40% Merlot, soft, gently tannic and appetisingly savoury in the 2006 vintage. Meridiana is aiming high, as witness its Isis Chardonnay 2008, a delicately honeyed varietal, leafy and lemony on the palate, leading to an insistent, substantial finish. It retails for around €11 locally, quite a price when a bottle of everyday hooch may be no more than €3, but an earnest of the intent to drive for quality. Tasting from tank (never the intrepid reporter’s favourite occupation) is revelatory. A Chardonnay from Malta’s second island, Gozo, is brimming with buttery, peachy class, the Gellewza rosé from a local grape is teeming with cherry-ripe exuberance, while both Merlot and even a distinctly Rhône-like violetty Syrah are already clearly identifiable. Among the earlier vintages, a strikingly aromatic Medina Vermentino-Zibibbo blend (right) is full of jasmine and apple, with nipping, delicate acidity, Pjazza Regina is a dry, beautifully expressive blend of Syrah, Merlot and Sangiovese, and the big reds, such as the flagship Gran Cavalier Merlot, aged in Bordeaux barriques, are sturdy, serious wines that will need around five years in the bottle to open out. Just around the corner from Delicata, another Maltese company, Marsovin, founded in the early years of the last century, offers a similarly versatile range. Its most head-turning achievement yet is Cassar de Malte, a traditional-method sparkler from Chardonnay. The 2005 that I tasted showed heart-warming levels of richness and creamy finesse. Is the world ready for Maltese blanc de blancs? It ought to be. 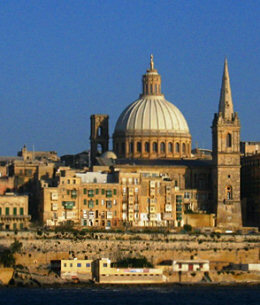 Footnote: Malta’s classification systemModelled on the Italian system, the principal tier of classification is DOK (Denominazzjoni ta’ Origini Kontrollata), one each for Malta and the tranquil neighbouring island of Gozo, 20 minutes by ferry to the northwest. Minimum alcohol levels and maximum yields are specified for DOK wines. For the time being, these wines must undergo a faintly ridiculous excursion to Siena, to be approved by Italian tasting panels, a procedure that will soon become ripe for reform.Below that is the Maltese Islands IGT (Indikazzjoni Geografika Tipika), the broader regional designation for wine from either island, but which is in reality mostly Maltese.